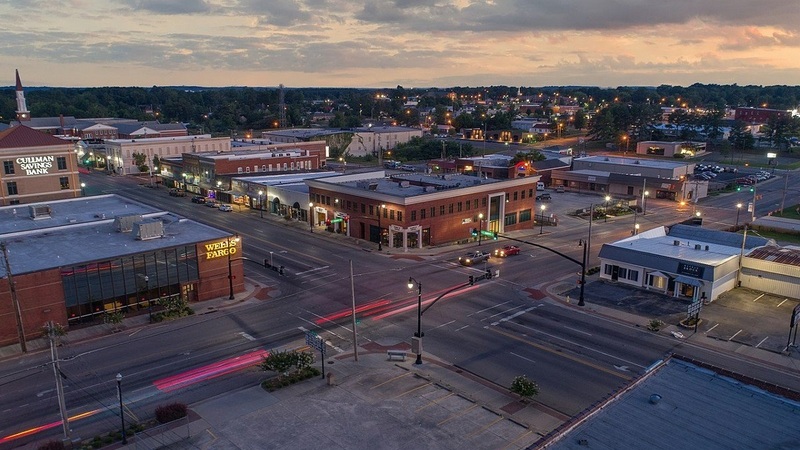 Sales: According to the Cullman Association of Realtors Multiple Listing Service, Cullman County residential sales totaled 65 units during February, up 10.2 percent from 59 sales in the same month a year earlier. February sales were up 85.7 percent from 35 sales in January. Results were 38.9 percent above the five-year February average of 47 sales. 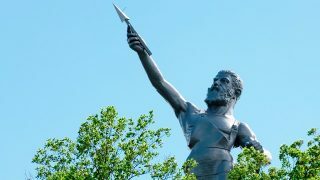 Two more resources to review: Quarterly Report and the Annual Report. 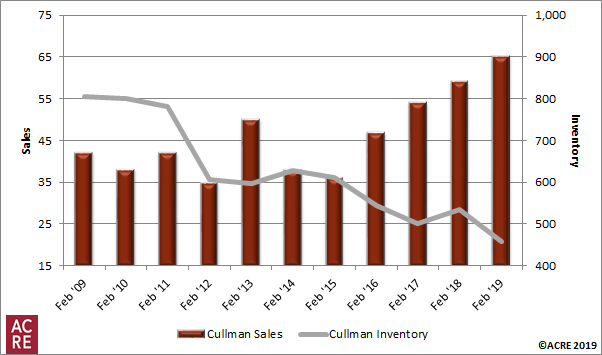 Inventory: Homes listed for sale in Cullman County in February totaled 459 units, a decrease of 14.2 percent from February 2018’s 535 units, and a decrease of 0.9 percent from January 2019’s 463 units. The February months of supply totaled 7.1 months, a decrease of 22.1 percent from February 2018’s 9.1 months of supply. February’s months of supply also decreased 46.4 percent from January’s 13.2 months of supply. 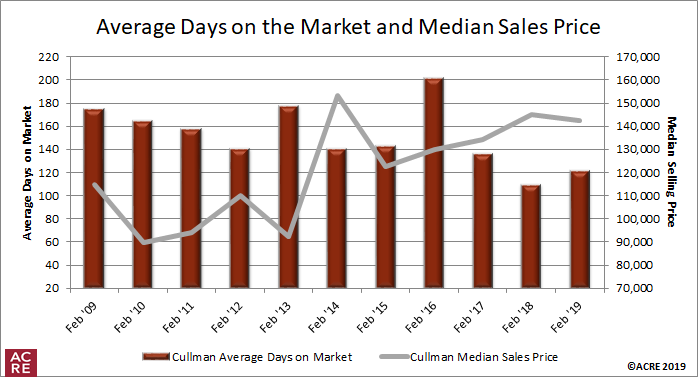 Pricing: The Cullman County median sales price in February was $142,500, a decrease of 1.7 percent from one year ago and a 10 percent increase from the prior month. This direction is consistent with historical data (2014-18) indicating that the February median sales price on average increases from January by 18.3 percent. The differing sample size (number of residential sales of comparative months) can contribute to statistical volatility, including pricing. ACRE recommends consulting with a local real estate professional to discuss pricing, as it will vary from neighborhood to neighborhood. The average number of days on the market (DOM) for the homes sold during February was 122 days, an increase of 10.9 percent from 110 days in February 2018 and a decrease of 12.2 percent from 139 days in January. 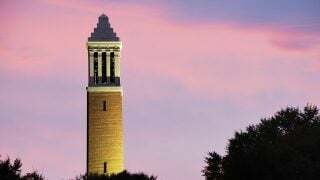 Forecast: February sales were six units, or 10.2 percent, above the Alabama Center for Real Estate’s (ACRE) monthly forecast. ACRE projected 59 sales for the month, while actual sales were 65 units. ACRE forecast a total of 113 residential sales in Cullman County year-to-date, while there were 100 sales through February.